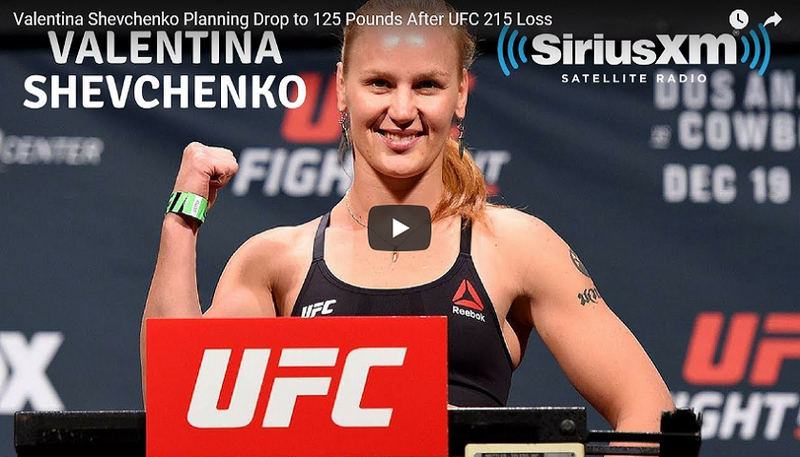 After losing a close split decision loss to Amanda Nunes in the headlining fight of UFC 215 over the weekend, Valentina Shevchenko had decided to drop to 125-pounds. Shevchenko joined MMA broadcast journalist Luke Thomas on Sirius XM to discuss the move. There she disputed the judges’ decisions, says she’s likely dropping to 125 pounds (flyweight) for her next fight and more. The Luke Thomas Show airs weekdays, 4 to 6pm ET, on SiriusXM RUSH, channel 93. The loss to Nunes came more than a year after their first meeting, also a close decision loss. It is highly unlikely that the UFC would book a third bout which likely plays into Shevchenko’s decision making process.